Suitable for most IBC footprints. 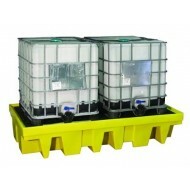 Double IBC Spill Pallet and Grating for use in the workplace storing two 1000 litre IBCs. 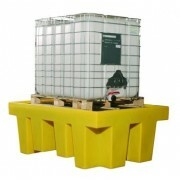 This spill pallet has forklift pockets for ease of transportation and removable decking to assist cleaning. 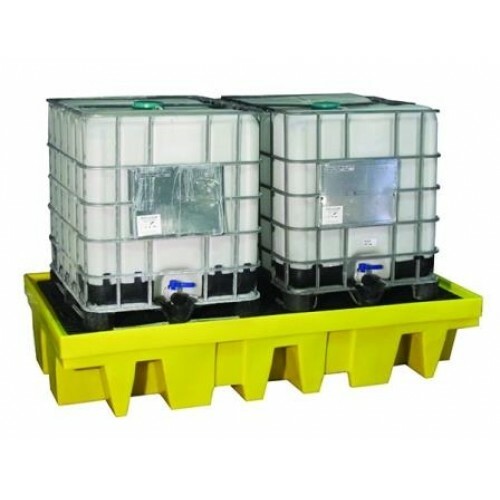 View our full range of Spill Pallets. 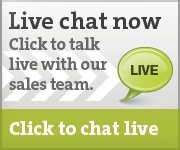 Fully compliant with all legislation. 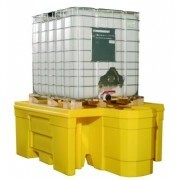 Suitable for a single 1000 litre IBC.